Cool your aquarium effectively and efficiently. GHL PropellerBreeze fans are durable fan units built from the highest quality materials. 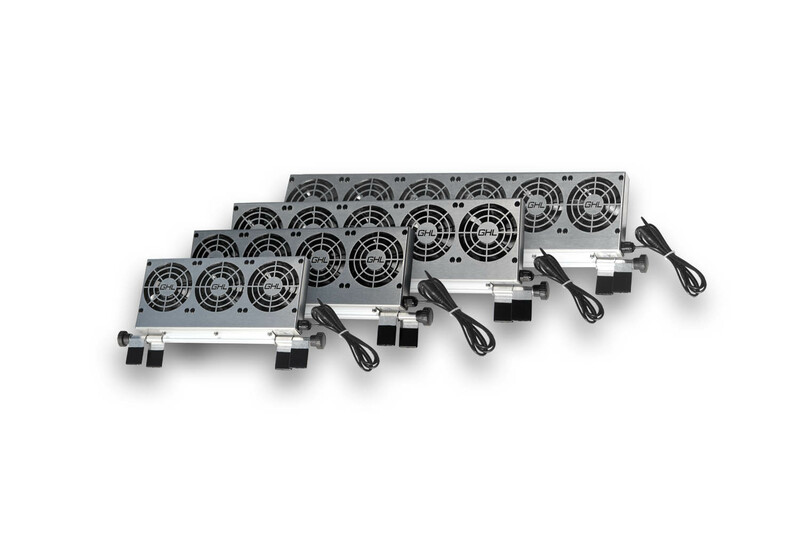 Offered in 3 to 6 fan models, these high quality fans cool the aquarium water effectively and economically using evaporative heat loss with large airflow volumes. The fan batteries ensure extremely silent operation and are sized at about 85 mm in diameter. Even when operated at low speeds, a single fan will produce an air flow rate of 38.3 cfm (65 cbm/h). These units operate at a safe low voltage (12V). The exclusively designed aquarium fans are made of stainless steel and aluminum and have universal adjustable mounting brackets. The fan batteries are available with three, four, five or six fans. The universal bracket is suitable for mounting to different glass thicknesses or for screwing. The 4 retaining feet are coated with plastic and therefore protect the aluminum from water contact. Additionally, the aquarium glass is protected. The brushless motors and ball-bearing fans on the PropellerBreeze fan batteries are splashproof. We recommend they be mounted in an area away from excessive humidity, condensation, and/or excessive splashing. Placing the PropellerBreeze in an area with high salt content such as in enclosed cabinets should also be avoided. 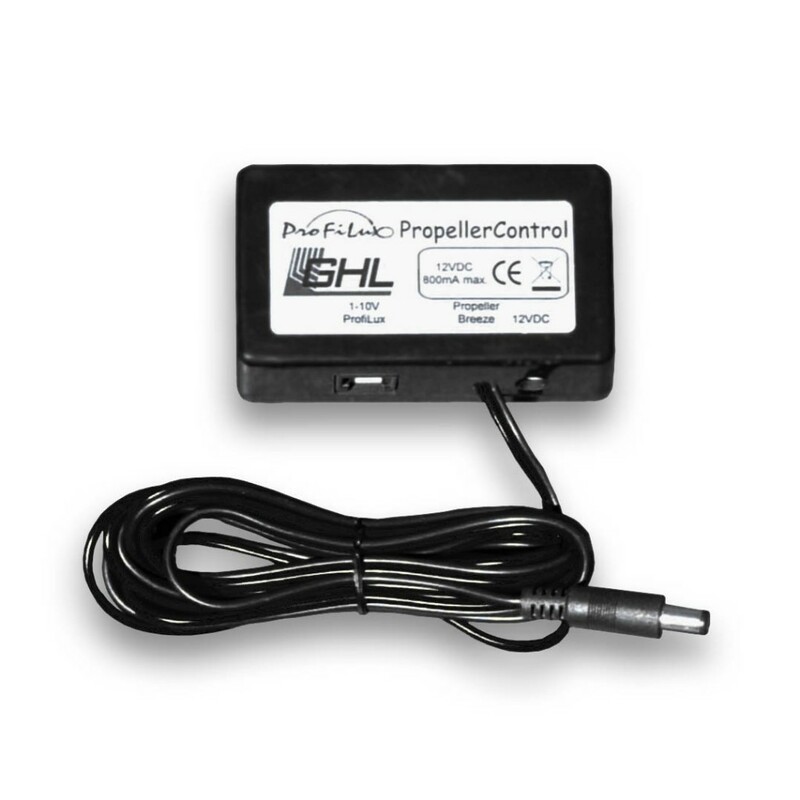 Propeller Control enables the ProfiLux controller to operate the PropellerBreeze with variable speed control. Propeller Control is connected to a 1-10V–interface of the ProfiLux (beginning from Plus (II). With Propeller Control connected to ProfiLux, the PropellerBreeze will automatically adjust its fan speed according to how much the nominal temperature is exceeded. Therefore, the fan always rotates as fast as necessary and as quietly as possible.